Teatru Astra, together with the support of BOV are proud to announce the 13th edition of Festival Mediterranea, with a series of concerts and events to be held between 23 October and 24 November 2014. Festival Mediterranea is a unique endeavour and the only festival of its kind on the Maltese islands, combining high culture with the production of an Italian opera in conjunction with traditional fare. This year’s festival was officially launched during a press conference which was addressed by the Hon. 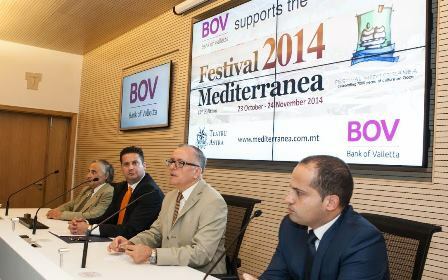 Dr Edward Zammit Lewis, Minister for Tourism, John Cassar White, Chairmana at BOV, Festival Mediterranea Chairman Michael Formosa and Prof. Mro Joseph Vella, the festival’s music director on Monday 22 September 2014 at the BOV Centre in Santa Venera. Minister for Tourism Dr. Edward Zammit Lewis in his address welcomed the 13th edition of Festival Mediterranea, “This is an annual celebration of culture, music and art, let off in the very heart of the Mediterranean on the island of Gozo.” The Minister emphasized that such activities, being held in the months of October and November assist in boosting tourism and the overall economy in our sister island of Gozo during the shoulder months. The Minister concluded by commending that the work of Teatru Astra and its volunteers is in line with the Government’s objective of attracting more quality tourists to our islands. During his intervention at the launch of the festival, Bank of Valletta's Chairman John Cassar White spoke about the importance of programmes that are so culturally-enriching. “This year's edition of Festival Mediterranea marks its 13th anniversary and it is with pride that we can state that Bank of Valletta was participative in this initiative since its inception. The Festival has been crucial in strengthening the cultural calendar of the Maltese islands and we have seen it growing gradually year on year to reach the level that it has reached today. We believe that such events also help to stimulate the local economy as the one month long festival creates activity in that time of the year when touristic activity in Gozo is at its lowest. We are pleased to form part of this success story", said Mr Borg. Prof. Joseph Vella highlighted that Nabucco is a goldmine of bel canto solo singing together with a choral feast. He explained that this is a majestic opera that promises to be one of the highlights in the by now established tradition of excellence at Teatru Astra with a fantastic cast of solo singers and formidable choral support, all in the ambit of the usual outstanding sets and scenery which promise a truly operatic night to remember. 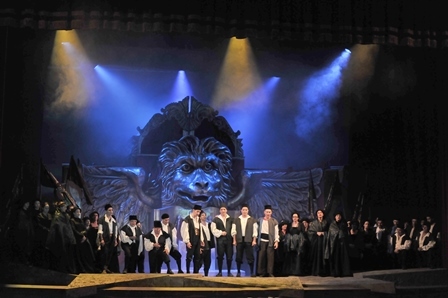 As in previous years, this year’s pride of place goes to the production of Verdi’s much-loved opera, Nabucco, with the participation of baritone Piero Terranova in the title role, together with soprano Silvia dalla Benetta (Abigaille), world-famous bass Carlo Colombara in the role of Zaccaria and our very own tenor Cliff Zammit Stevens who will debut on the islands with a lead role in opera singing Ismaele. Maltese baritone Louis Andrew Cassar will sing the role of the Gran Sacerdote while Gozitan soprano Dorienne Portelli will tackle the role of Anna. 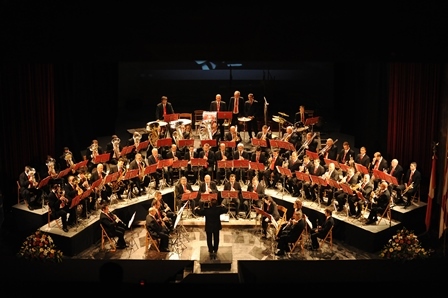 The Malta Philharmonic Orchestra will be under the direction of the Festival’s and Teatru Astra’s Artistic Director, Joseph Vella. The opera will be performed twice, namely, on Thursday 23 and Saturday 25 October at 19.30hrs. Other musical events will feature two of Gozo’s foremost performers, Mario Galea (clarinet) and George Camilleri (euphonium). Both are members of the La Stella Band. They will give a recital on Friday 24 October at the Kempinski San Lawrenz Resort and Spa at 19.30hrs, while on Sunday 2 November, the La Stella Brass Ensemble, together with soloists will give a concert of classical and semi-classical music at the Aula Mgr Giuseppe Farrugia at 20.00hrs. 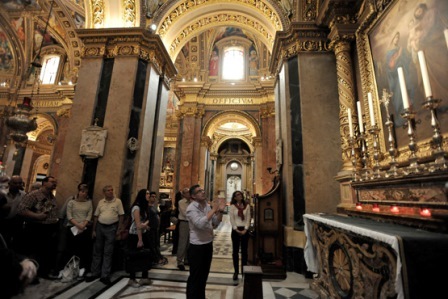 On Sunday 9 November, leading Maltese organist Dr Hugo Agius Muscat will give an organ recital on the 18th century organ at St George’s Basilica. This concert will start at 20.00hrs. The annual grand concert given by the La Stella Philharmonic Band, under the direction of Prof. Joseph Vella, will take place on Saturday 15 November at Teatru Astra, at 19.30hrs. Apart from the musical bonanza that this festival offers, there are other cultural events of note. Notable amongst these one finds Dr Paul George Pisani leading a guided tour of the state-of-the-art Il-Ħaġar Museum together with a site visit to St George’s Basilica on Friday 24 October at noon, while doctoral candidate and one of the island’s leading authorities on art and artistic treasures, Mark Sagona, will deliver an illustrated talk The Lure of Rome: On the Trail of Italian Art in Gozo 1850 – 1950 on Saturday 8 November. On Saturday 1 November at 10am, Prof. Victor Mallia Milanes will give a lecture at Il-Ħaġar Museum entitled The Order of the Hospital in 1630, while leading opera critic and scholar Dr Abraham Borg will deliver a highly-relevant talk on Nabucco - A Break from Traditional Melodrama at the Victoria Local Council Hall on Saturday 25 October at 10am. John Patrick Shanley’s famous play, Doubt, will be under the direction of Mario Tabone. It will be staged at Teatru Astra, starting at 19.00hrs. Four exhibitions will also be on display throughout the festival period: Gozo in Philatelic Art, a prestigious exhibition of artwork for Malta stamps set up by Maltapost in collaboration with Festival Mediterranea; A Broken Life, an exhibition of paintings, etchings and engravings by Hermine Anna Sammut; an exhibition of memorabilia in connection with the First World War in collaboration with the British Residents Association. These three exhibitions will be mounted at Il-Ħaġar Museum. Richard England, an exhibition of paintings by Prof. Richard England, will be displayed at Art … e Gallery.